Fans of Flying Wild Hog's revamp of Shadow Warrior won't have to wait too much longer for the sequel, Shadow Warrior 2. The team has revealed that the title will be coming to PC on October 13, 2016. 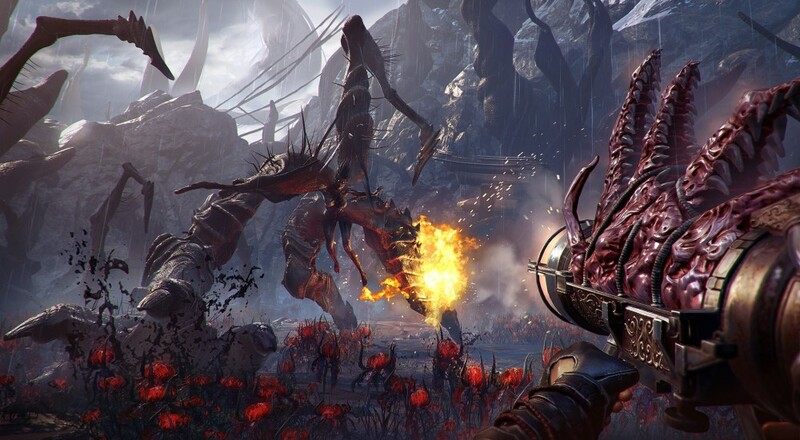 Set five years after the events of the previous game, Shadow Warrior 2 sees protagonist Lo Wang facing off against the very demonic forces that he helped to unleash. The title has gone a little more open world this go around, and it will also allow up to four players to team up online to complete the story campaign and side missions. Each player will be able to collect their own loot and customize their ninja to fit their own particular playstyle. The PC release date trailer shows off a little of this co-op demon killing in slow-motion action. Shadow Warrior 2 is available for pre-order sale on Steam for $35.99. No release date has been announced yet for the PlayStation 4 or Xbox One versions. Page created in 0.6700 seconds.